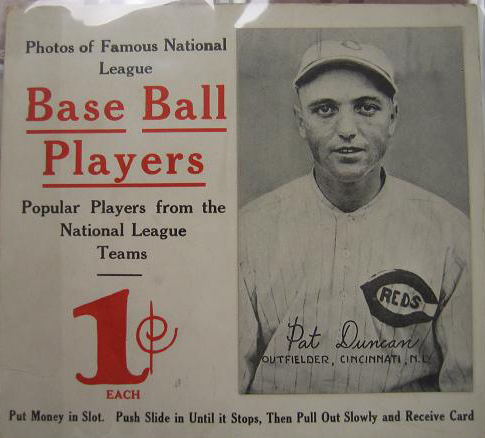 Comments: I started browsing sites on the net when the 2008 HOF candidates were originally announced looking for the right portrait card and settled on a 1925 Exhibits issue. 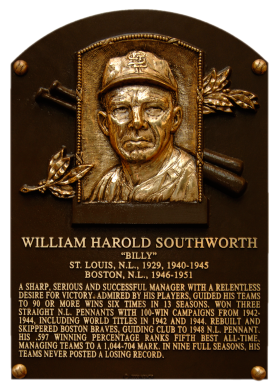 I figured Southworth might be elected ad was right. First, I purchased a raw VG example in Dec, 2007 and upgraded to this PSA 4 in March, 2009. Description: The 1925 series of Exhibits contains 128 unnumbered cards, each measuring 3-3/8" X 5-3/8". 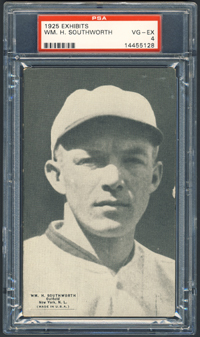 The player's name (in all capital letters), position and team (along with a line reading "Made In U.S.A") are printed in a small white box in a lower corner of the card. Most of the photos are vertical, however a few are horizontal. 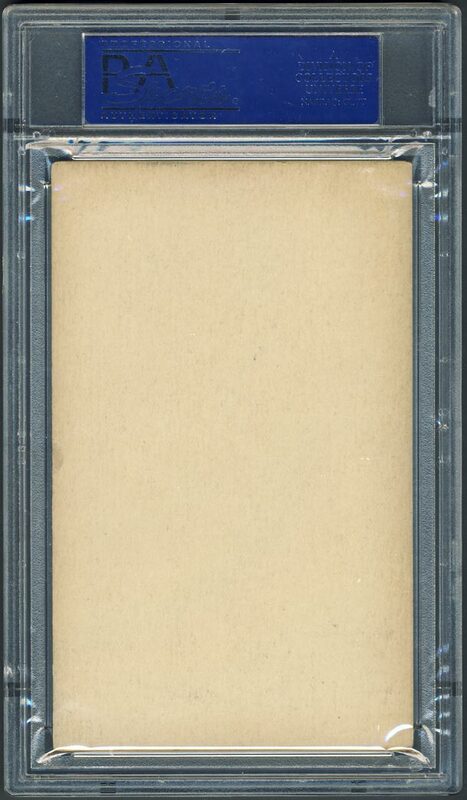 There are several mispellings in the set and it is highlighted by Lou Gehrig's first card.